She is a light mobile range fighter. 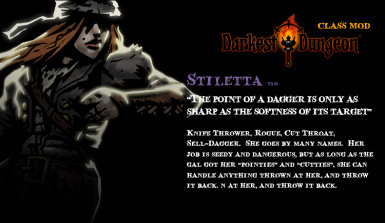 While low in damage outputs, her biggest asset is that she rarely misses. Her flying knives always find their targets, as if they have eyes. She also often rely on her Lucky Golden Dagger for some big hits. 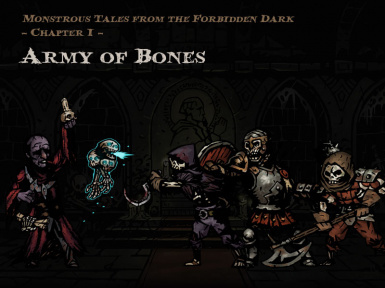 This mod adds 5 new monsters into the Ruin dungeon. 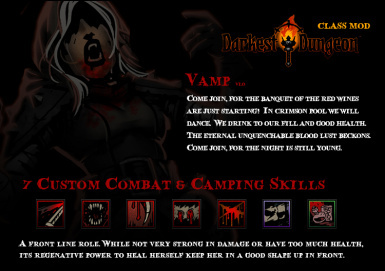 Get ready for new encounters and dangers, as you face off more minions of undead. New strategies are needed against those evils, or doom to become one of them! 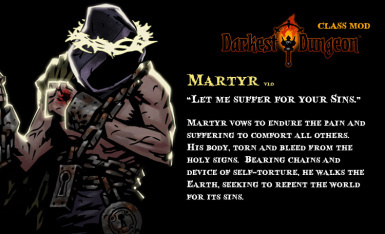 Add a new hero class, Martyr, to the Darkest Dungeon. 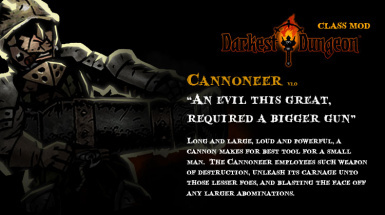 Add a new hero class, Cannoneer, to the Darkest Dungeon. 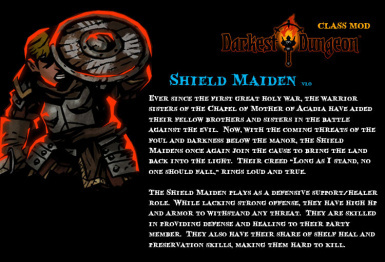 A Shield Maiden Class mod. 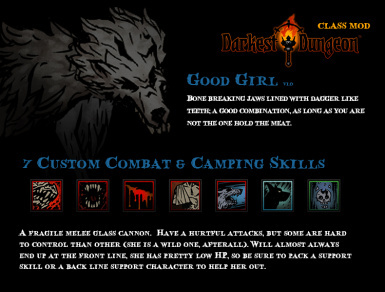 A frontline defensive healer/support class. 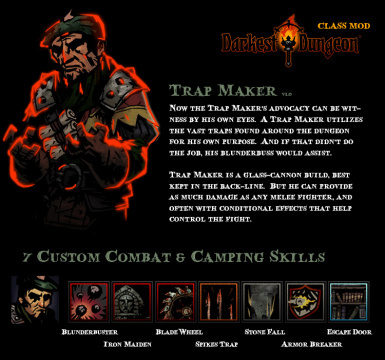 Add the Trap Maker mod class to the game. Trap Maker is a glass-cannon build, best kept in theback-line. But he can provide as muchdamage as any melee fighter, and often with conditional effects that help control the fight. 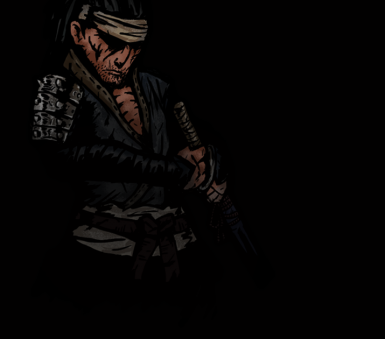 Adds a new hero for Darkest Dungeon. 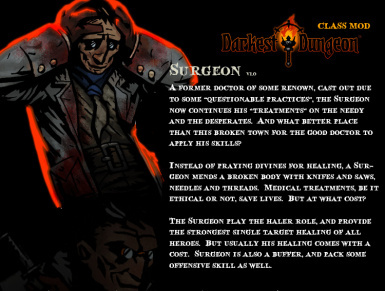 The Surgeon, who specialized in healing and buffing. 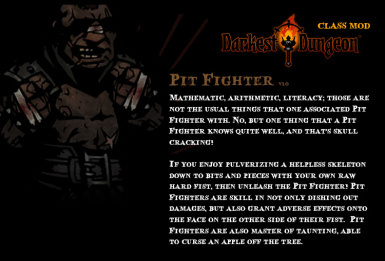 Adds the Pit Fighter mod class to the Darkest Dungeon. 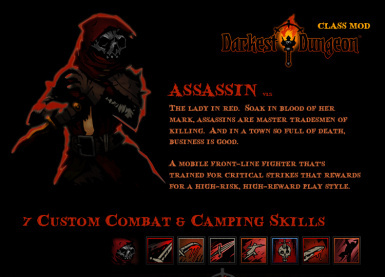 A mod for Darkest Dungeon that adds in a new playable class into the game. 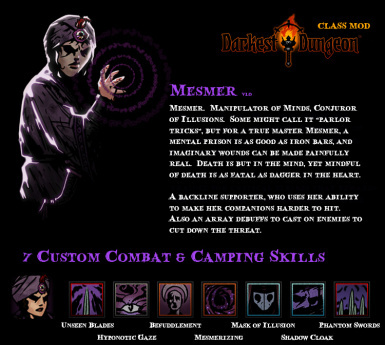 Mesmer.